Information Technology is one of the most dynamic career areas involving the multi-faceted IT industry. Students have the opportunity to gain both knowledge and hands on experience with computers and networks. Students acquire the necessary skills to build, repair, and troubleshoot computers as well as installing, configuring, and troubleshooting of routers, switches, and wireless networks. Students must pass the IT Basics Module 1 of the Ohio Career Technical Competency Assessment or hold a current IC3 certificate or hold a current ICDL certificate. 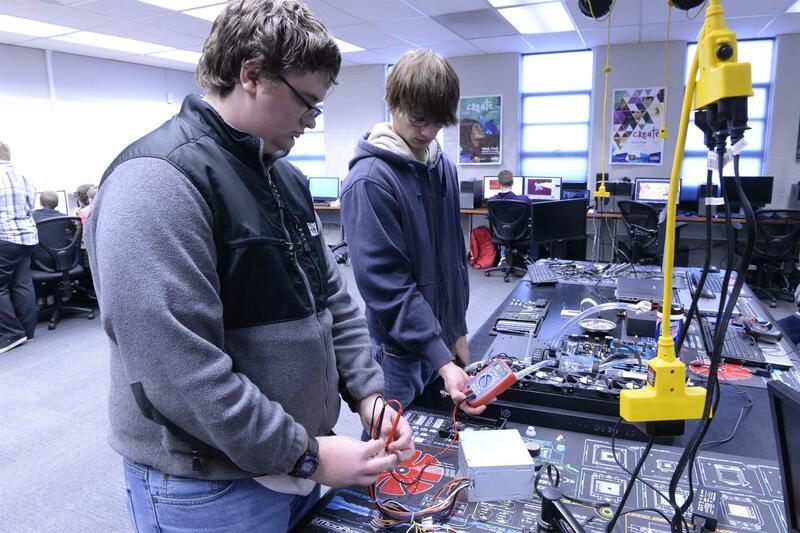 Students must pass the IT Information Support and Services of the Ohio career Technical Competency Assessment or hold a current CompTIA A+ certificate. Students must hold a current CompTIA A+ certificate that represents the A+ examination for installation and configuration.